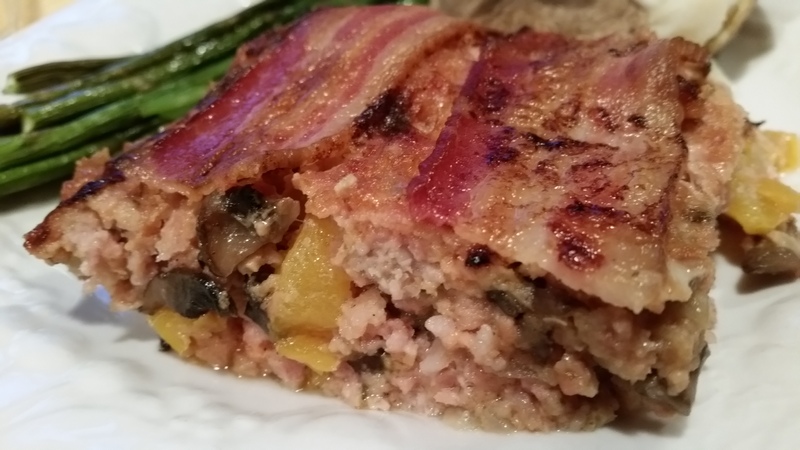 This Veal Bacon Meatloaf is a sponsored post by Cedar Springs Veal. #ReVEALingExcellence. All opinions are my own. Incredibly moist and full flavored Veal Bacon Meatloaf is a perfect main course for any night. Luxuriously flavored ground veal, ground bacon, and mushrooms meatloaf covered by a layer of crispy bacon. 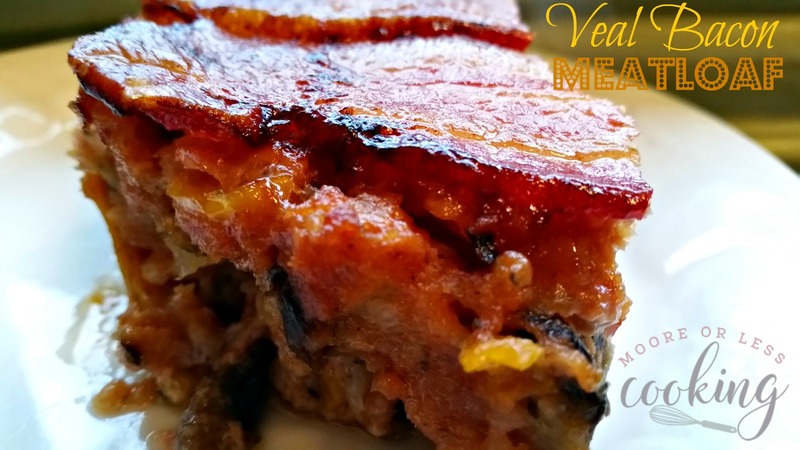 This Veal Bacon Meatloaf is so easy to put together and the flavors are incredible. It is a moist, flavorful and not too heavy meatloaf. 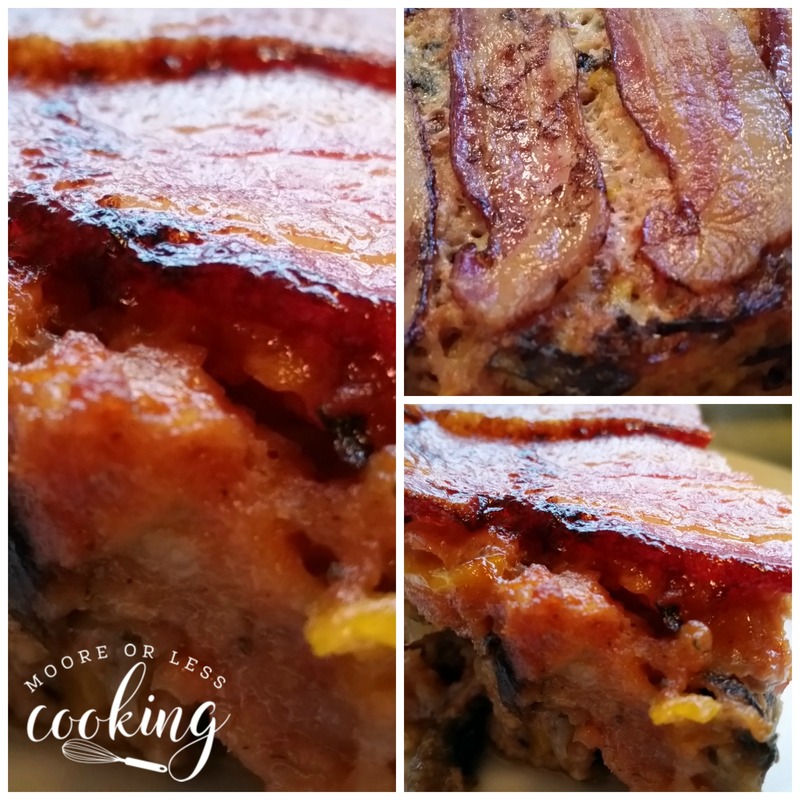 The ground bacon inside the meatloaf, and on top puts the flavors over the roof delicious! Growing up, we ate a lot of meatloaf. Meat was not inexpensive, so we added bread crumbs from our home made bread and lots of veggies from our garden to the loaf to make it a well balanced meal. that can be stretched out to serve more with less meat. Meatloaf is always the kind of meal that brings back wonderful delicious memories. It is a delightful, comforting, all around wonderful meal. There are so many ways to create a meatloaf. Every different background has a way of making it unique and their own. 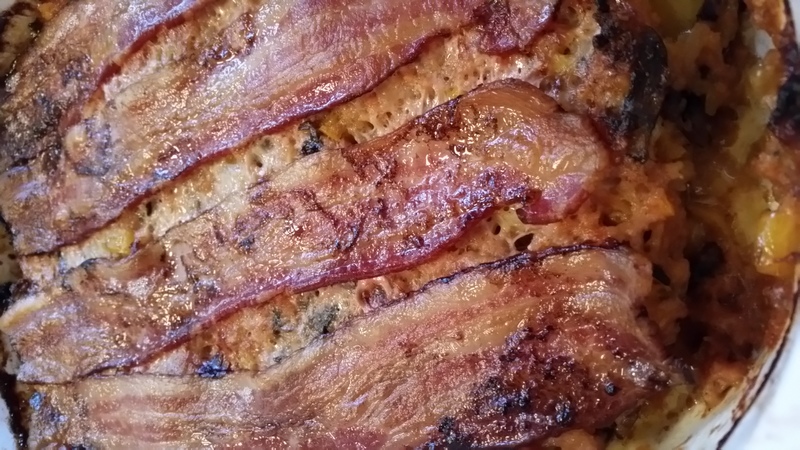 The bacon gives the meatloaf a delicious smoky flavor. Cedar Springs Veal family farmers put their care and expertise when producing homegrown veal. Raised right, on a nutritious and wholesome diet, in the US on a family owned ranches. More than luxurious, it is unbeatable. Veal is incomparable in taste. Veal has a moist, tender and delicate flavor. With it’s velvety texture, it compliments luxurious sauces. It is a favorite among Italian, French and cosmopolitan chefs. For centuries, veal has been produced as a delicacy within many cultures. Veal is very versatile with so many types of cuts, it can be cooked in many ways such as roasted, grilled, broiled, pan fried, stir fried, or baked like my Veal Bacon Meatloaf. Mountain States Rosen veal growers have established protocol which focuses on the quality of the animals life and well being. Healthy, top quality animals produces the best veal. Farmers take excellent care of these animals, feeding them a nutritious diet, minimizing stress with providing health maintenance and safe housing. Add onions and peppers to mushrooms, saute. 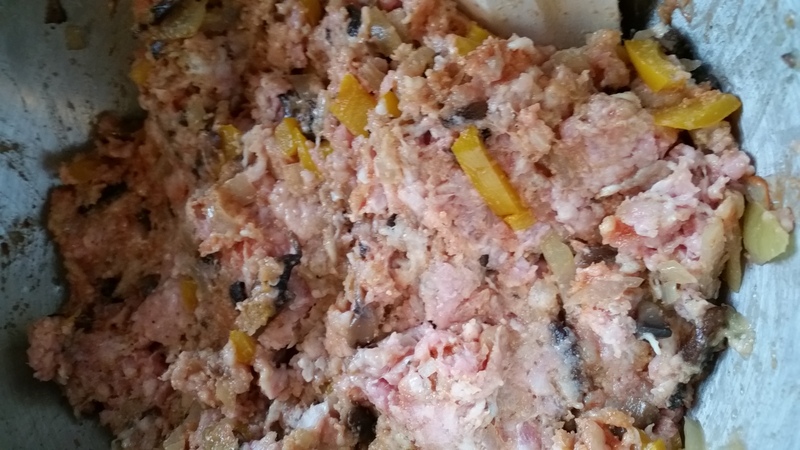 Let mixture come to room temperature, add to minced bacon, veal, breadcrumbs, ketchup and egg. 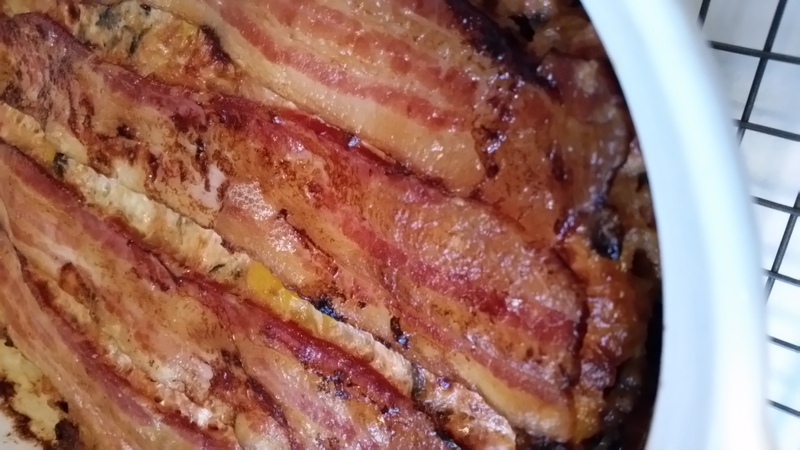 Pour into 2 quart casserole dish, form into a loaf, lay strips of bacon over loaf. Bake for 75 minutes. Place under broiler for 5 minutes, until bacon is crispy brown. Serve with baked potato and green veggie. Incredibly moist and full flavored Veal Bacon Meatloaf is a perfect main course for any night. 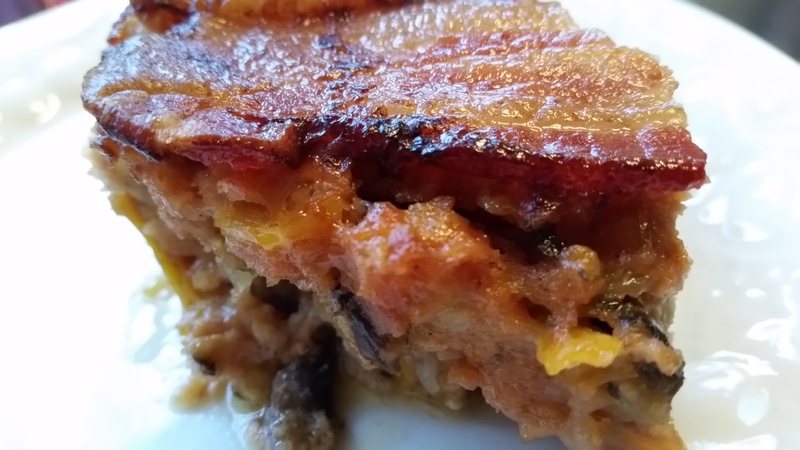 Luxuriously flavored ground veal, ground bacon, and mushrooms meatloaf covered by a layer of crispy bacon. Melt 2 tablespoons butter in a large iron skillet. 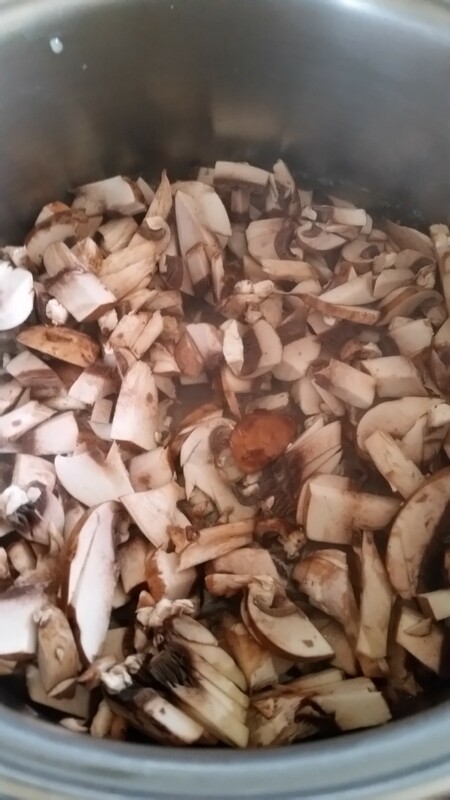 Add the mushrooms, season with salt and pepper and cook over medium heat, about 4 minutes. Raise heat to high and cook, stirring, until browned, about 4 minutes longer. Add the onion, yellow pepper and 1 tablespoon butter. 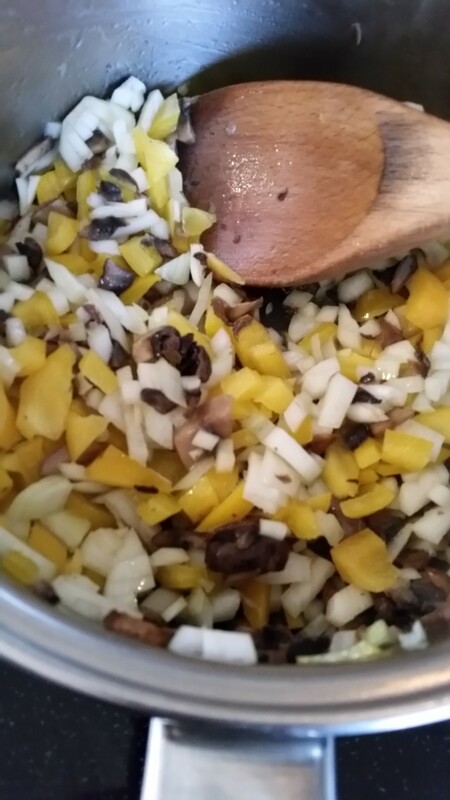 Cook over low heat, stirring occasionally, until the onion and bell pepper soften, about 10 minutes. Cool to room temperature. Mince the chopped bacon in a food processor. 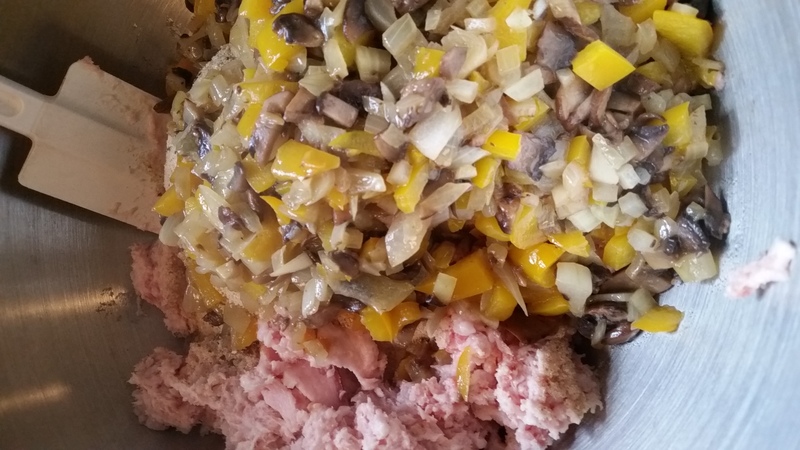 In a large bowl, combine the minced bacon with the veal, bread crumbs, ketchup, egg and the cooled mushroom mixture. Season with salt and pepper and mix thoroughly with your hands. Pack meat mixture into a 2-quart loaf pan and arrange the halved bacon strips on top. Bake the meat loaf for 1¼ hours. Drain the pan juices into a heatproof bowl and skim off the fat..
Preheat the broiler. Broil the meat loaf 5 inches from the heat for 1 minute, or until the bacon is browned. Let the meat loaf rest in the pan for at least 10 minutes before slicing. Thanks for the recipe. The meatloaf looks so special for a feast.